Auterion started their talk with an introduction to navigation algorithms. The example they provided was the A* path-finding algorithm used for obstacle avoidance in many autonomous navigation systems. In the following slides they displayed the complex configuration between non-ROS and ROS components of their drone communication architecture. The presentation ends with a list of advantages and challenges of using ROS in industry, and future steps Auterion intends to take with their drone solution. The complete slideshow can be found here. Julian Kent from Auterion answers audience questions at the end of his talk. 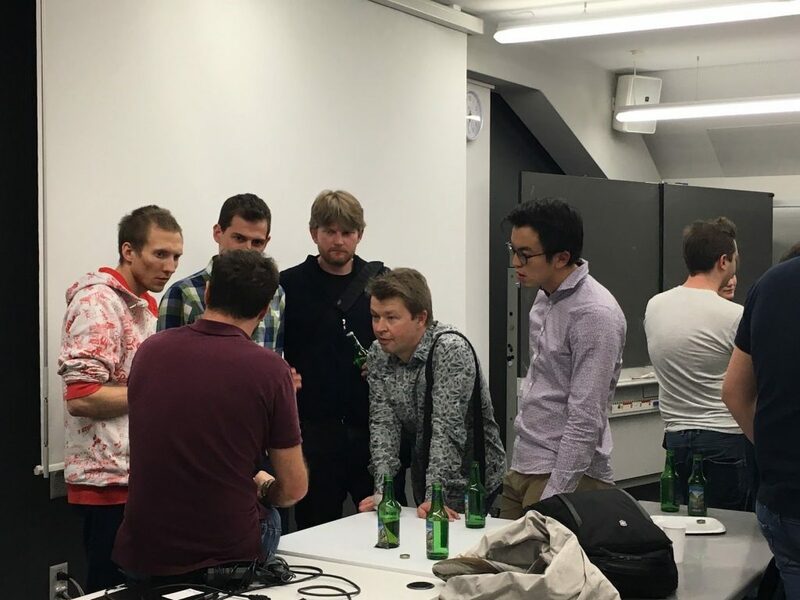 The second talk at the meetup was presented by us and gave a rundown of our current and past ROS/robotics projects. Focus was on our past InnoSuisse project with Rapyuta Robotics which led to the development of an Enterprise Cloud Robotics Platform (ECRP). A live demo using this platform was given at the end of the talk, which showed dynamic orchestration of ROS packages deployed on a TurtleBot2 and on the cloud. A video of the sample application is available at this link. We also discussed our current work in autonomous navigation with a Summit-XL Steel, and arm-control/grasping with a UR5 arm. Slides are here. 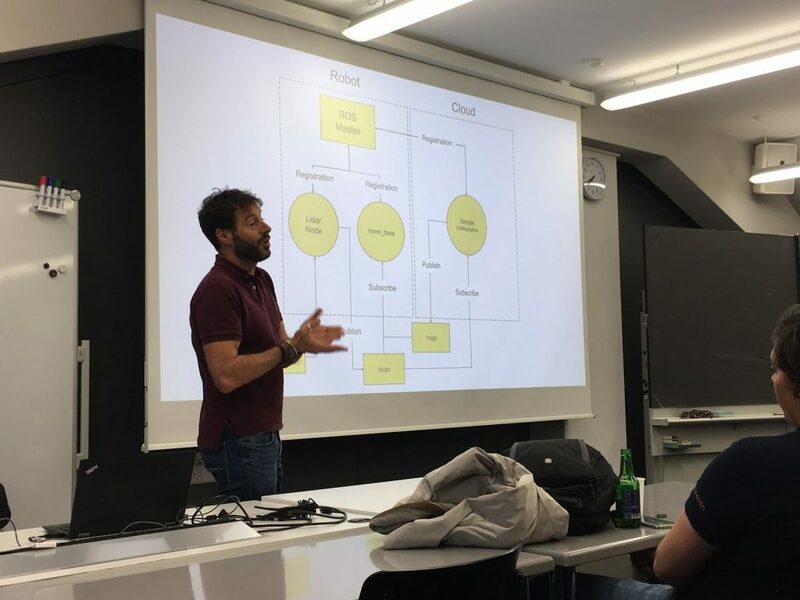 Giovanni gives a high level view of the ROS architecture of a cloud robotics application. 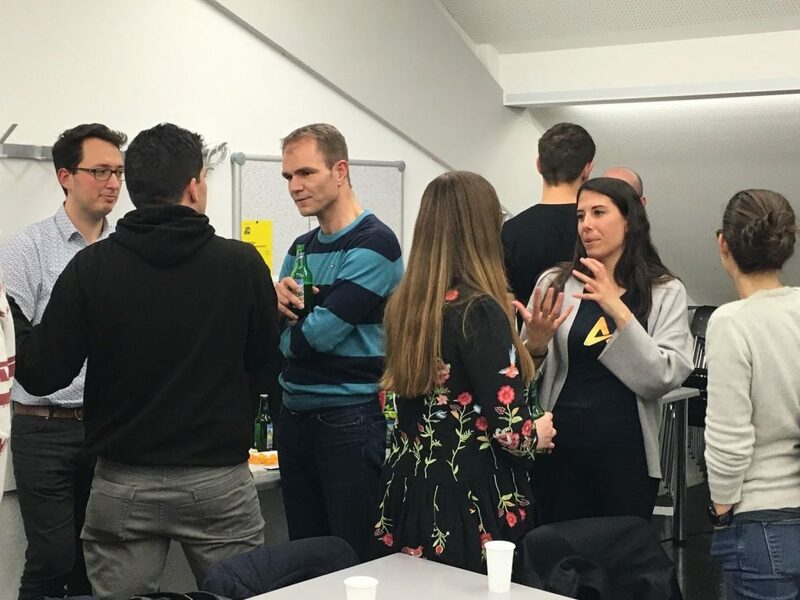 The meetup concluded with networking over some drinks and finger food. Thanks again to Auterion for sponsoring this part of the event. From both the verbal and written feedback we have received, we are confident in saying that this initial meetup was a success and prompts the continuation of these sort of meetings. 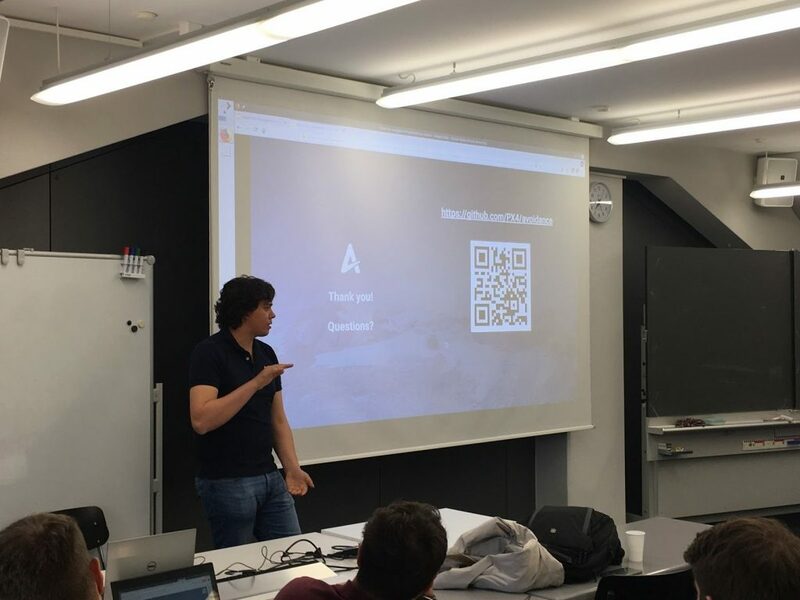 All future events and updates can be followed by becoming a member of the Robotics and ROS in Zürich group; the next meetup details have already been released! 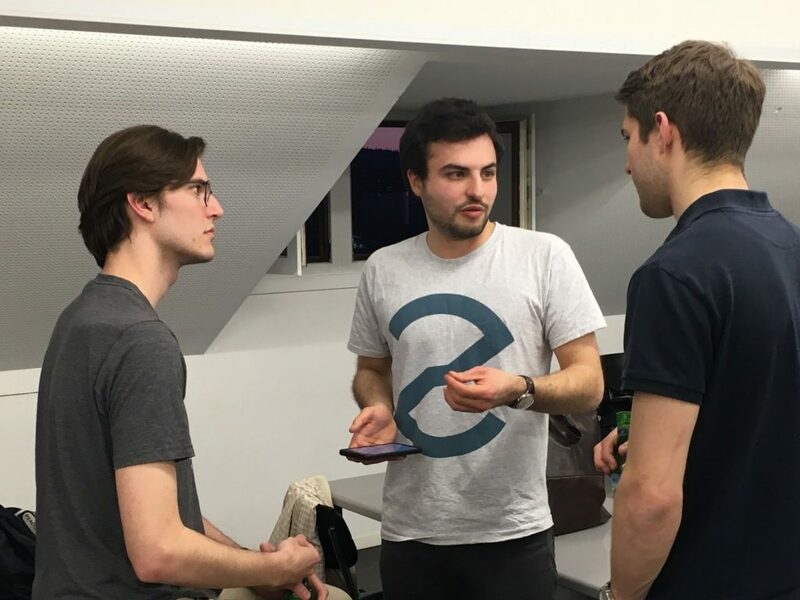 We look forward to continue meeting ROS-users/roboticists within the area. This entry was posted in *. 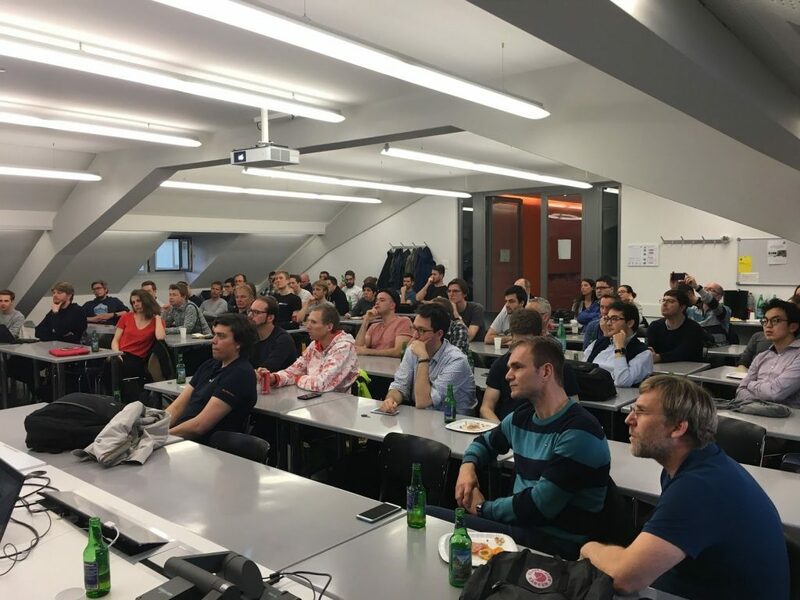 * and tagged meetup, ROS, zurich by Rodrigue de Schaetzen. Bookmark the permalink.